Consent for Treatment: The undersigned authorizes Dr. Oppenheimer and staff (the Practice) to provide treatment or procedures, which they consider necessary and proper for the above named patient. I understand that there is no guarantee of satisfaction, outcome, or results with any medical consultation or intervention. Release of Records: I hereby authorize the Practice to furnish insurance companies with any information concerning my treatment which may be requested, including photocopies of my patient records as necessary for completion of an insurance claim or as may be required by law. I further authorize the provider to furnish information from my patient records pertaining to the treatment as requested by other doctors or medical care facilities for continued care treatment. I also authorize communication (via text, phone, email and in-person) with my designated Emergency Contact regarding my care. ​Payment agreement: I, the undersigned, understand that I am responsible for all charges for treatment received regardless of insurance coverage. I understand that the provider cannot accept responsibility for collecting any insurance claim or negotiating any settlement on a disputed claim. Provider reserves the right to decline further services to the patient for non-payment. Patient accounts are due 2 weeks prior (surgery) or at the time treatment (aesthetic treatments) unless other arrangements are made in advance. I, the undersigned, assign benefits payable to the physician or organization furnishing the services. Patients who are confirmed for office based appointments and “no show” are subject to forfeiture of costs. Patients who have paid in full for surgery and cancel are subject to 20% forfeiture. Legality: In any legal dispute that arises with the Practice, the patient will be responsible for legal fees incurred by the Practice. Photographic Authorization: I consent to the taking of photographs/videos by the Practice in connection with my medical care. I understand that such photographs/video shall become the property of the Practice and may be retained or released for the purpose of preoperative planning, medical records, and publication in print, visual or electronic media, including social media (e.g. facebook, snapchat, instagram, etc.) I will not be identified by name in any published photograph. I understand that I have the right to revoke this authorization in writing at any time, but if I do so it will not have any effect on any actions taken prior to my revocation. Acknowledgements/Waivers: I understand that the photographs/videos are property of the Practice and will not be returned; that the Use is for any and all reasonable and lawful purposes; and that the Practice may Use the photographs/videos without obtaining any additional permission from me. I waive the right to inspect or approve the photographs/videos before a Use. I wave any right to payment, royalties or other compensation arising or related to the Use of photographs/videos. I acknowledge that the photographs/videos may be considered Protected Health Information under HIPAA . I acknowledge that I have the right to receive a copy of this form after I sign it by making that request. I acknowledge that once posted the Practice may not have the ability to remove photographs/videos or that its ability may be limited, and I grant the right to continue the Use the photographs/videos in such circumstances. Term: This Authorization shall be in effect for ten years. I can revoke it in writing by notice to the Practice at any time. All Use prior to revocation is authorized. Privacy: I understand that any information disclosed, or some portion thereof, may be protected by state law and/or the federal Health Insurance Portability and Accountability Act of 1996 (“HIPAA”). I release the Practice from all rights that I may have in photos/videos and from any claim that I may have relating to such use, including any claim for payment in connection with their publication. Digital Communication: I understand that the electronic transmission of Protected Health Information (ePHI) via this form may be accessed by third parties involved in web hosting. In addition, I authorize mutual communication with the practice by text, email and messaging services. The Practice will not be responsible for unauthorized access of protected health information while in transmission via these means, and the Practice will not be responsible for safeguarding information once delivered. The Practice will take steps to ensure that any communication will use the minimum necessary amount of protected health information required for communication. Medical History: I will not hold the Practice responsible for any errors or omissions in my medical history that I communicate during my consultation. 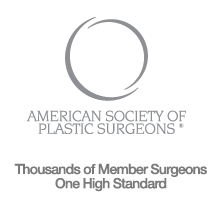 ​Privacy Practices: By my initials below, I also acknowledge that I have reviewed Oppenheimer Plastic Surgery Notice of Privacy Practices. Your driver's license or other form of I.D. Please include at least one photo.